«Madeleine de la Peltrie». Anonymous after an anonymous painting. We consider her to be our secular foundress. 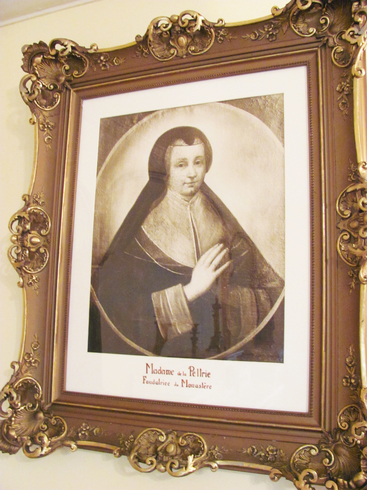 When Marie of the Incarnation wanted to leave for America, she needed a benefactress. The two women met and decided to carry out their plans. To fund the undertaking, Marie-Madeleine de Chauvigny de la Peltrie awarded French land to the Ursulines, thereby providing them with a source of revenue. She lived in a tiny house where the museum is currently located.